ME: I grew up surrounded by art. My father and grandfather were gifted artists. Although I have had some diversions on my way to becoming a recognized artist (among them, a 13-year stint in the U.S. Air Force), I never lost my desire to express myself through fine art. I received my Fine Arts degree from the University of New Mexico with an emphasis in photography and worked as a military photographer while in the Air Force. MY ART: I was in high school when I discovered Joseph Cornell and I owe a great debt to his influence. 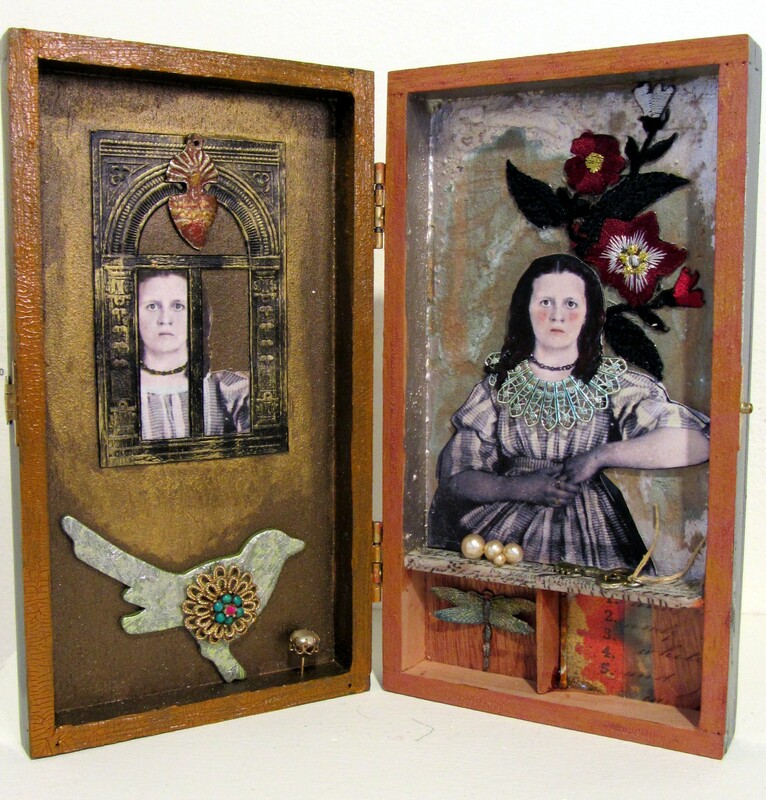 In 2007, I began working solely in mixed media assemblage and collage. It has opened the “creative floodgates” for me. As Cornell did, I arrange found objects and images in boxes or box-like structures which I paint, alter, distress and embellish. I enjoy discovering new ways to use art materials and mediums. Collage and assemblage frees me to play with techniques and materials to achieve an effect. It is similar to the thrill I got when I would watch a photograph appearing in the developer tray in the darkroom. My goal is to create small worlds that tell a story (most being less than 5 by 7 inches). A juror once described my pieces as “little poems”. I invite you to visit my website: www.angelapetruncio.com. 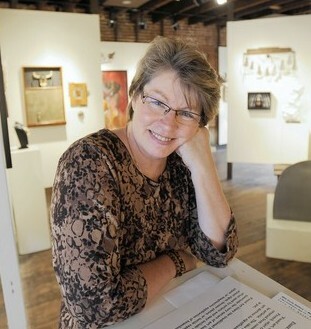 MFA & ME: I was accepted into the first show I entered, and continue to exhibit my work regularly at the Circle Gallery. Although “found art” is considered by many to be outside the mainstream, the MFA has always been a place where I felt encouraged in my pursuit. I am most grateful for the support and inspiration I have found there. In 2010, I was deeply honored when they approached me to spearhead their first nationally open juried exhibition of found object art. This show, entitled “Eye of The Beholder: Fine Art of the Found Object”, is now a regular addition to the MFA gallery calendar. Reblogged this on Angela's World: Little Poems in Found Art. Well said, Angela! I am learning more and more about assemblages. I always look long and hard at your work. Thanks Deb. I value your friendship and feedback!